Steel wool can be used instead of fine sandpaper for many sanding jobs. The very fine strands of steel gently cut into the surface being sanded, removing an ultra-thin layer. The main advantage of using steel wool rather than sandpaper is that the steel wool can compress to almost any shape, so it can be used easily in hard-to-reach places, as well as on complex shapes such as beveled edges or moldings. 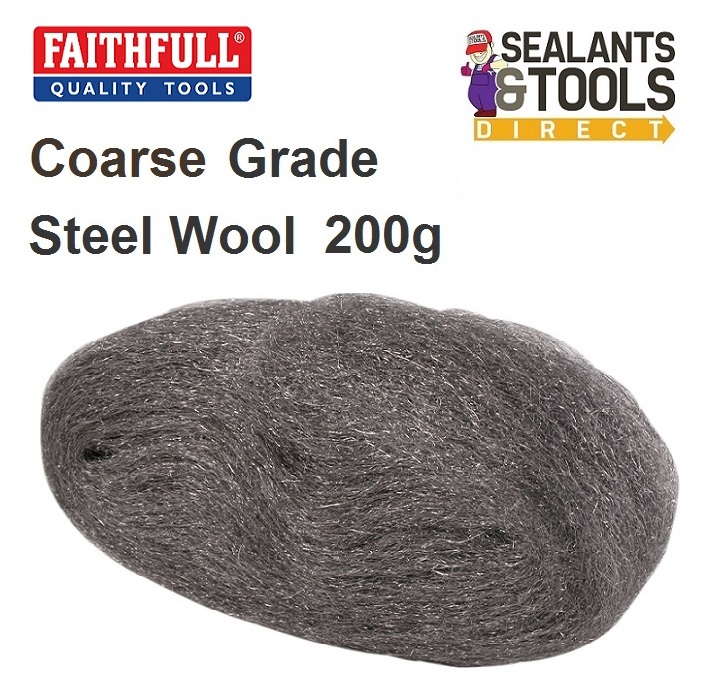 Faithfull Industrial quality steel wool can be used for surface preparation and finishing. knocking down the shineof surfaces by buffing with the finest grades. Cleaning pipe work before soldering. For use in the fine reproduction of furniture coatings. The wool leaves a particularly satiny feel because it cuts rather than abrading or tearing the surface. Also good for use in giving furniture and kitchen cupboards the weathered look that is so populare now.